1. In the menu at the top of the page, click on Account. 2. Select Your Account (log in first, if you haven’t already). 3. 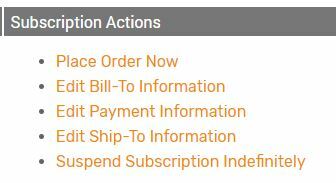 Scroll down the page to view your options: either click on an Order Number to view and Order’s details or click on a Subscription Number to view and edit Subscription details. 4. 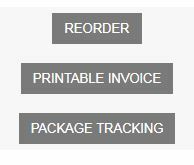 Once an order has been placed, you can view tracking information and your invoice, but you cannot make changes. Please contact us immediately with the order number if you require changes to an order and we’ll do our best to catch the order before it’s shipped. 5. Active subscriptions can be edited or suspended. Only some parts of an active subscription may be edited here. If the edit you require isn’t available to you, please contact us immediately with your subscription number and request and we’ll make the change for you. What’s your roasting schedule? How fresh is my coffee?